There are those who struggle with personal mobility that may be reluctant to consider a stair lift for a home. They may see it as a sign of weakness or as a sign of being one step closer to losing personal independence. On the contrary, the choice to consider a home stair lift is a step towards regaining personal independence and freedom. The introduction of a stair lift to a home is much less intrusive than needing a guardian or caregiver to be in the home, just to help with getting up and down the stairs. A top-quality, reliable stair lift means greater flexibility of lifestyle choices. It means not having to move out of a cherished family home simply because the stairs have become an issue. Today’s stair lifts are versatile and come in different models. 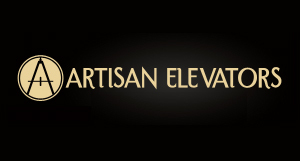 There are straight stair lifts and stair lifts designed to work on curved staircases. There are stair lifts that are perfect for narrow staircases, such as the ones found in many older homes. There are stair lifts designed to work outdoors, ready to stand up to the elements and provide personal mobility outside of the traditional indoor stair case. 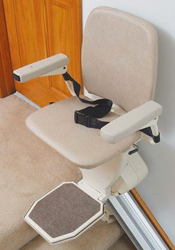 The key to erasing the stigma of stair lifts is to find the right stair lift for your or a family member with mobility limitations. Adding a stair lift from Indy Stair Lifts makes the home more accessible and preserves independence and persona mobility. Contact Indy Stair Lifts today to find out more.